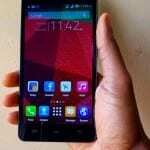 Infinix Hot 4 X557 is a direct successor of the Infinix Hot 3. The phablet still offers a 5.5-inch display, but with an upgrade to Android 6.0 (Marshmallow) and introduction of a fingerprint sensor. Infinix Hot 4 also boasts of 33% more battery capacity and offers improvements in the camera. The Infinix Hot 5 is the successor of the Hot4. 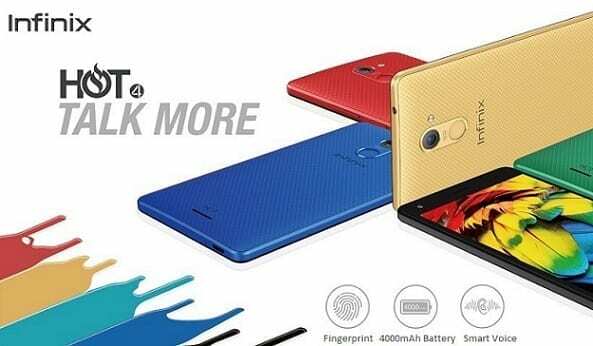 Infinix Hot 4 features a 3D textured back and offers interchangeable covers in numerous colours. The interchangeable covers are available in Scarlet Red, Sandstone Black, Turquoise Dream, Luxurious Gold, or Sapphire Blue. Infinix Hot 4 has a 5.5-inch Display with the same 720 x 1280 pixels resolution as its predecessor. However, the display is said to offer 12 ultrabright backlight LEDs, which should make for a more brilliant viewing experience and better outdoor view. The front facing camera is getting an upgrade from a 2 megapixels sensor in the Hot 3 to a 5 megapixels sensor in the latest iteration. This should make the Infinix Hot 4 better for selfies and wefies. There does not seem to be any improvement on the rear facing camera. Infinix Hot 4 still offers an 8 megapixels sensor with a five element lens system on top. This is essentially the same setup as its predecessor. 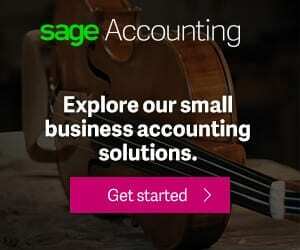 However, it is likely that there may be some improvements in the camera software. The camera offers an LED flash with autofocus. Infinix Hot 4 runs on Android 6.0 (Marshmallow). 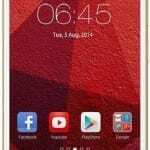 It is the third smartphone from Infinix to offer Marshmallow and the second to come with the software out of the box. Like most phone makers do, Infinix is offering the phone with its own customised skin, the XOS. According to Infinix, the XOS offers and excellent interactive experience and decreases battery consumption by at least 30%. 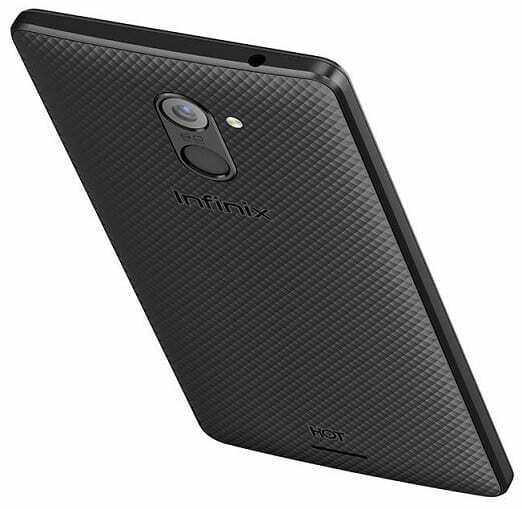 Infinix Hot 4 is powered by a Mediatek MT6580, which offers a 32-bit address bus and a 1.3GHz quad-core processor. The phone comes with 2GB RAM and 16GB built-in storage. The built-in storage can be extended by up to 32GB via a microSD slot. Infinix Hot 4 also offers Wi-Fi and a microUSB port with support for USB on the Go. Infinix Hot 4 features a 4000 mAh battery, which means you can get improved battery life. According to Infinix, the battery can last an average user for up to 2 days. The Phone sports a fingerprint sensor on the back like the Infinix Hot S. It also supports Bluetooth 4.1 and two micro SIMs. Infinix Hot 4 features Smart Voice, which is just a technology that uses an additional microphone and some smart signal processing algorithms to isolate ambient noise for clearer calls. Infinix Hot 4 does not support 4G LTE. If want 4G LTE, you have to consider the Infinix Hot 4 Pro. Infinix Hot 4 is now available in Nigeria, Kenya, and Ghana. You can buy the smartphone at leading online stores in the countries. Infinix Hot 4 Price in Nigeria ranges between 46,500 Naira and 59,000 Naira, depending on your location in the country. The Infinix Hot 4 price in Kenya starts at KSh 9,999 while the price in Ghana starts at 399 GH₵.